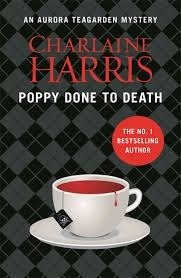 Poppy Done to Death is the 8th book in the Aurora Teagarden Series, I have read then all up to this point and this is the first one where I have guessed quite a few pages before the end who murdered Poppy. This is another fun, lighthearted and cosy read. I think there are two further novels in this series, I'm not sure how much further the series can go, it's now more about Aurora's life and the characters and the murder seems to be a side plot. However, this one held my interest enough for me to want to read the next one but I think this series is probably reaching it's end or it's certainly coming to the end of being added to my TBR list.